This year (August 2016 to July 2017) several MSL researchers including Joshua Marshall, Heshan Fernando, Jordan Mitchell, and Lukas Dekker are working full-time from Örebro, Sweden! 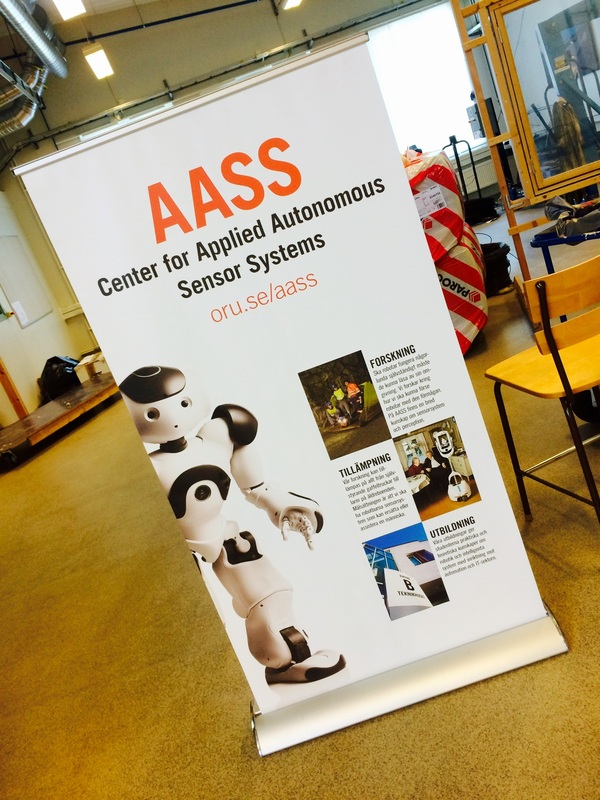 This work is part of a unique collaboration between Queen’s MSL, Örebro University‘s Centre for Applied Autonomous Sensor Systems, and Atlas Copco Rock Drill AB (Örebro, Sweden), and is jointly funded by NSERC in Canada and the Swedish Knowledge Foundation. We are now half-way there and so far we have had some really great success. 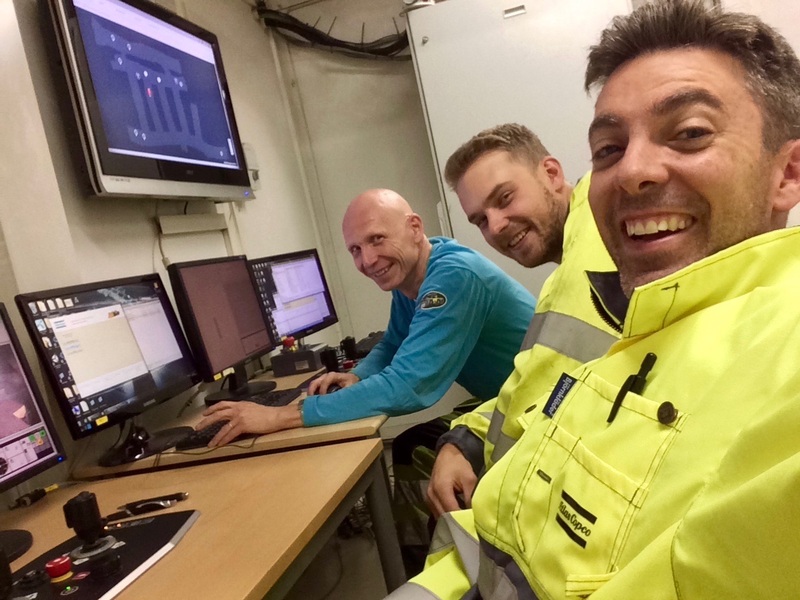 Our achievements are in no small part due to generous and unprecedented access to Atlas Copco’s Kvarntorp underground test mine and use of their fully-equipped and automation-ready ST14 and ST18 LHD machines! We have also made some wonderful new friends and are looking forward to many years of continued work together. 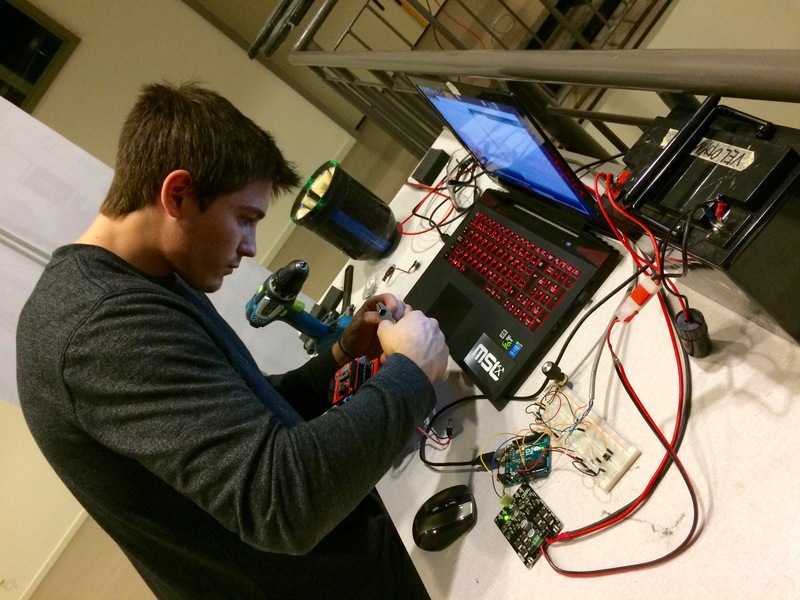 Jordan Mitchell is leading the development of our MapKey auto-rotating cavity scanner concept, prototyping, and initial field testing, which is happening on the Örebro University campus in collaboration with AASS. J. M. Mitchell and J. A. Marshall. Design of a novel auto-rotating UAV platform for underground mine cavity surveying. To appear in Proceedings of the 2017 SME Annual Conference & Expo and CMA’s 119th National Western Mining Conference & Exhibition, Denver, CO, February 2017. Heshan Fernando is leading the development of automatic tuning algorithms for autonomous loading of fragmented rock (see this CIM Magazine article about our ongoing work on this with Atlas Copco), which is happening in collaboration with Atlas Copco Rock Drills AB and in conjunction with field work at the Kvarntorp underground facility. Heshan is also working Atlas Copco engineers and software developers to create a “load-assist” version of our technology to help operators that use radio-remote controlled LHDs. Lukas Dekker is leading research on a new approach to Iterative learning-based path following for high-accuracy and high-speed autonomous driving of underground mining vehicles. 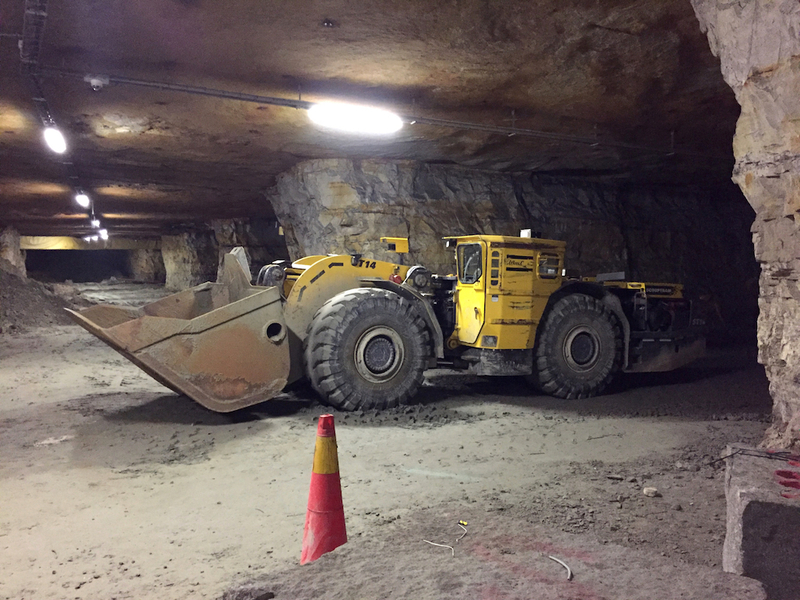 This work is being carried out using Atlas Copco ST14 and ST18 underground loaders and also at the Kvarntorp underground facility. The new Springer Handbook of Robotics is out, and what better place to read Chapter 59: Robotics in Mining—written in part by MSL’s Joshua Marshall—than underground on a really big mining robot. 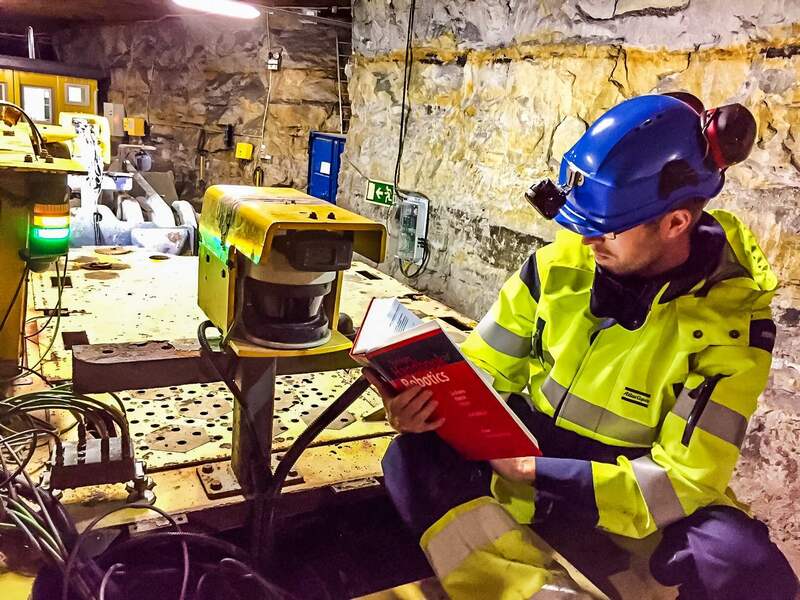 This photo of the Handbook of Robotics was taken underground at the Atlas Copco Rock Drills AB test facility near Kvarntorp, Sweden on a robotic ST14 LHD machine, a place where Queen’s MSL and Atlas Copco collaborate on mining robotics research.